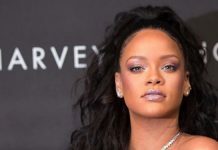 Although neon-coloured eyeshadow generally makes a splash every summer, it’s also slated to create a sensation this fall. As we step into autumn, it’s essential to start switching up your regular beauty look for a vibrant alternative. With swatches of punchy eyeshadow creating waves on the Fall 2017 runways, shades of rainbow can easily brighten your lids for the weeks ahead. Paired with black winged eyeliner and long lashes, neon eyes can look surprisingly stunning for an evening out. Colour combinations for neon eyeshadow range from yellow and violet to blue, green and magenta. If you prefer intense colour, try blending a number of brilliant eyeshadows together to create a softly smudged eye look. Meanwhile, eyeliner in pale blue and yellow shades can also look absolutely stunning. A winged eye can pair nicely with soft pink lips, while softly contoured cheeks help to pull an entire beauty look together. 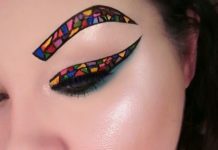 For anyone wondering how to embrace the neon eye makeup trend, try drawing your cues from Instagram. 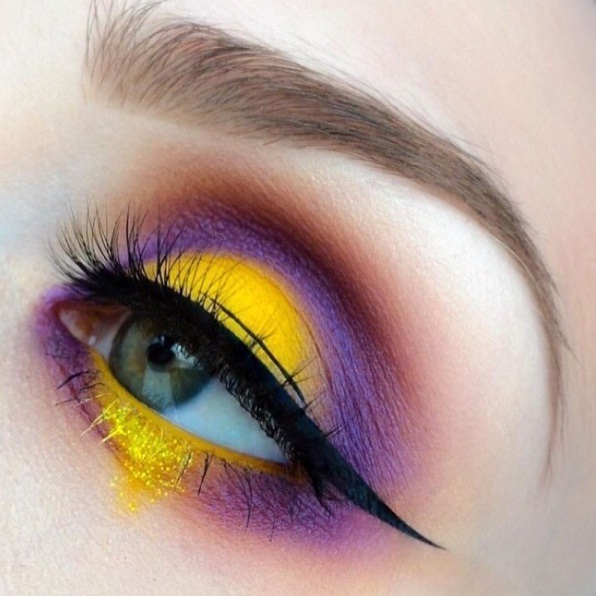 We’ve these eye-catching beauty looks to inspire your next makeover.